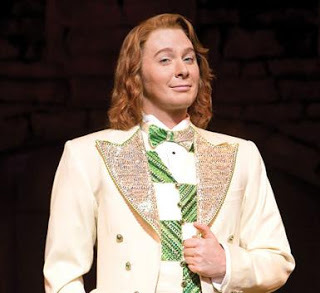 American Idol star Clay Aiken actually looks serious about running for Congress. According to WRAL, he plans to launch his campaign next month. The 2nd District is currently held by Renee Ellmers, who has strong support from the GOP leadership but is not known as a strong fundraiser. Aiken’s entry into the race means that this contest is going to get a lot more attention. Aiken’s celebrity status will make it easy for him to raise money for both the primary and the general, and he could actually outraise the incumbent. But money isn’t likely to make his congressional bid any less steep. NC-02 is an “inelastic” district with few swing voters, most of whom reside in the Wake County portion of the district. In my view, the strongest Democratic challenger here would be former NC Secretary of Commerce Keith Crisco, the only candidate out there who has the moderate profile necessary to win over working-class voters in the Piedmont. Even then, Ellmers would be favored, especially in this environment. Aiken’s LGBT status is another problem. In the Cary-Apex portion of the district, that won’t be a factor. In the other parts … not so much. Notably, both Aiken and Ellmers came out against Amendment One. But Aiken’s biggest hurdle might be his celebrity status, which is also his biggest asset. Fair or not, voters have a hard time taking celebrity candidates seriously. Aiken’s notoriety will help him to raise money, but it could also hurt him, even with Democratic-leaning voters. In the Democratic primary, Aiken will face Crisco and Houston Barnes, an attorney. Ellmers also faces competition from the right in the form of conservative broadcaster Frank Roche.